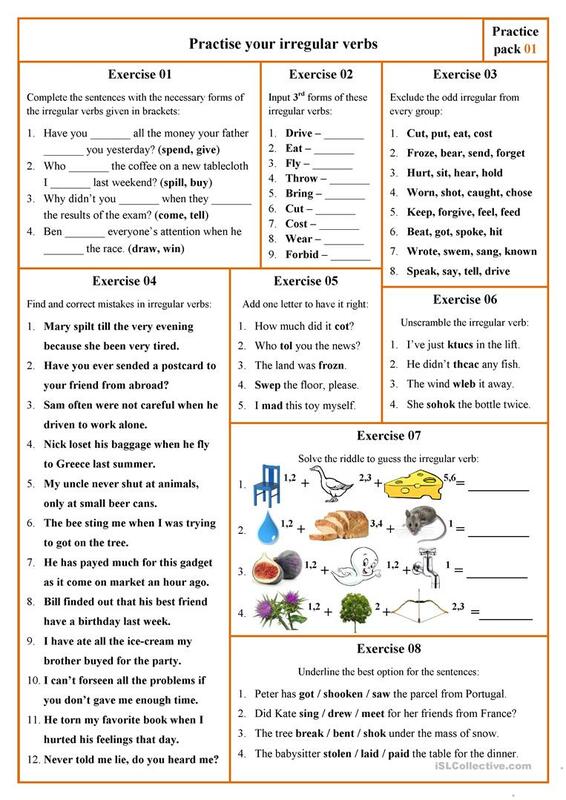 That's a set to practise irregular verbs but not in one manner. You'll find 8 different and interesting exercises. Of course, the KEYS are attached. The more we practise irregular verbs the better as it's the only artificial part of English language. Your comments and likes are always warmly welcome. This printable, downloadable handout is meant for high school students and adults at Upper-intermediate (B2), Advanced (C1) and Proficient (C2) level. 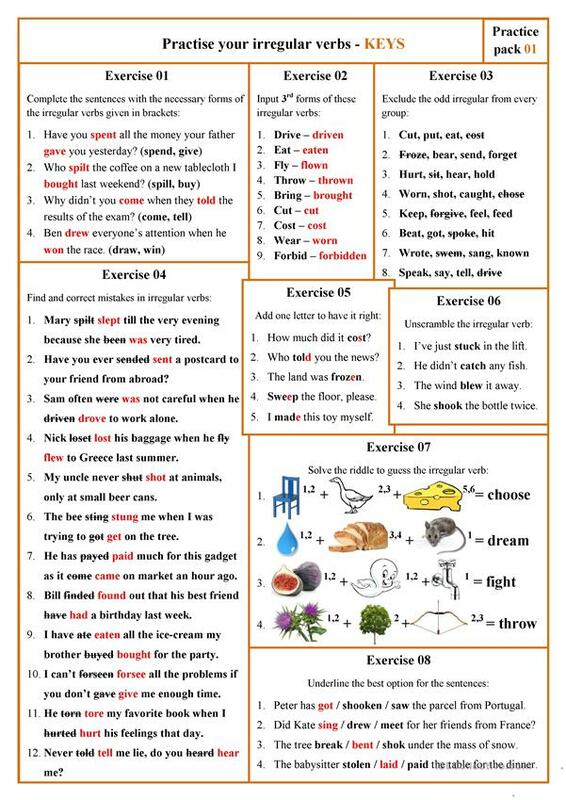 It is valuable for revising Irregular verbs in English.